VIPAccessEXCLUSIVE: Lauren Giraldo Interview With Alexisjoyvipaccess At The 2017 Latin American Music Awards! The amazing Lauren Giraldo truly defines what it is like to be a multi-threat! She’s known for being a social media sensation, an actress, a singer, and even an executive producer. Have we mentioned that she’s only 19-years-old and she has accomplished this much?! Lauren Giraldo is truly the QUEEN of social media. From Vine, where she first amassed her massive fan-base, to creating some of the most magnificent and entertaining YouTube videos that we all enjoy watching, and of course, her fantastic Snapchat updates, Lauren Giraldo never fails to bring out excellent content that we all love. In addition to keeping us all connected with her hectic world, Lauren Giraldo is also a wonderful singer. She released her single “Only Lovers” and we all have been listening to it on constant repeat. Since then, Lauren Giraldo went on tour meeting thousands and thousands of excited fans who were so happy to meet her. The awesome Lauren Giraldo has also hosted many of her own shows including Lauren Against The Internet and Lady Bits with Lauren Giraldo. It’s clear to see that this lovely lady is nonstop with her endless amount of remarkable projects and we know that she will continue to have many, many more well-deserved successes. 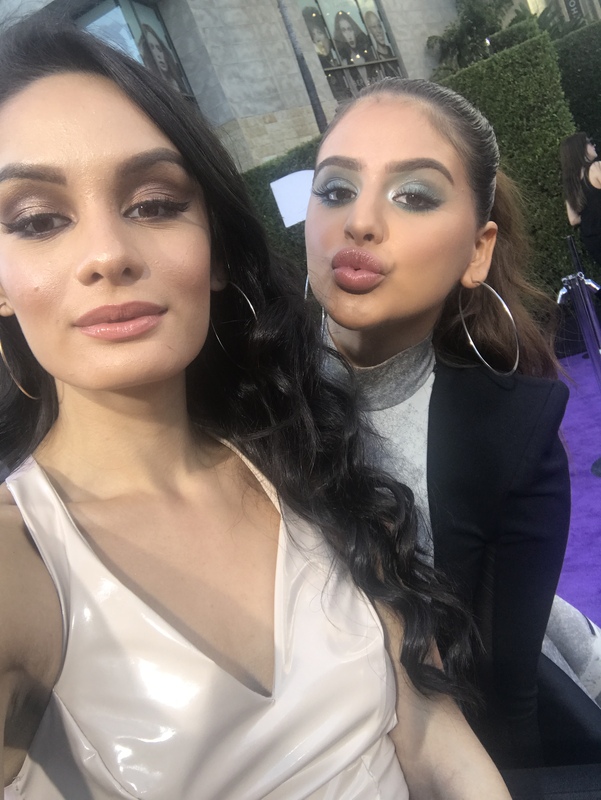 I, Alexisjoyvipaccess had the honor of covering the 2017 Latin American Music Awards and had a great time interviewing the outstanding Lauren Giraldo at the event. Lauren Giraldo dished exclusively to Alexisjoyvipaccess all about what are some exciting, upcoming projects that she is working on that fans can stay tuned for, what is her number one fashion advice, and so much more only in our VIPAccessEXCLUSIVE interview. Lauren Giraldo even spilled on which musician she would like to create a song with – hear what she had to say in our VIPAccessEXCLUSIVE interview below. Thanks for the fun interview, Lauren! Check out my VIPAccessEXCLUSIVE interview with the fabulous Lauren Giraldo at the 2017 Latin American Music Awards below! Previous ﻿VIPAccessEXCLUSIVE: Manuel Turizo And Julian Turizo Interview With Alexisjoyvipaccess At The 2017 Latin American Music Awards! Next VIPAccessEXCLUSIVE: Bad Bunny Sends A Message To His Fans With Alexisjoyvipaccess At The 2017 Latin American Music Awards!